In two weeks, the president walked back moves made by Education Secretary Betsy DeVos and the Treasury Department. The CNN host couldn’t get over the education secretary’s “epic non-response” to questions about cutting money for the Special Olympics. Education Secretary Betsy DeVos' proposed budget cuts were already unlikely to pass the Democratic-controlled House. Democrats see “abortion as the cure for Down syndrome,” Matt Wolking tweeted as the Trump administration moved to stop federal funding of the program. The proposed cuts have almost no chance of passing Congress. Eunice Kennedy Shriver founded the games in 1968, inspired by her sister. With tens of thousands of students applying to every Ivy League college each year, getting in is about as likely as finding a golden ticket inside the wrapper of a chocolate bar. There are many challenges and problems in the world today that can also be met with great innovation and solution through collaborative efforts for true social change. 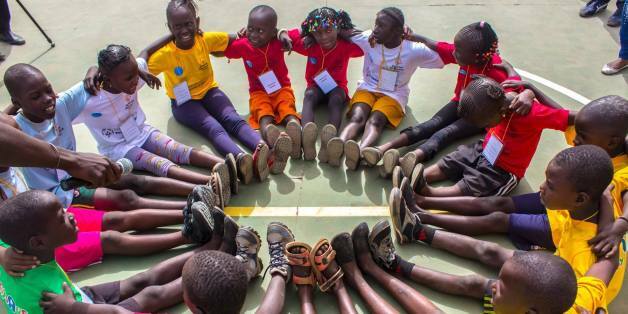 The most marginalized groups across the world rely on this week to consistently reiterate that sport is so much more than kicking a ball, running a race, or scoring a basket. It is, for many Special Olympics athletes, the single opportunity to shed their labels and simply serve as a teammate, a position, an accepted part of the whole. The Sound Shore Stars is a weekly Special Olympics training program. Comprised of athletes ranging from ages 22-46, the Dream Team trains to be the best they can be. One of these amazing athletes is the brother of one of the student producers of this video, Sara West. Her family has been involved in the Special Olympics for over two decades! A moment neither Aaron Miller nor LeBron James will soon forget.